The ruling CPI(M) had sought action against former chief minister Chandy and several other Congress leaders for allegedly disrupting Kochi Metro train services by undertaking the protest journey. 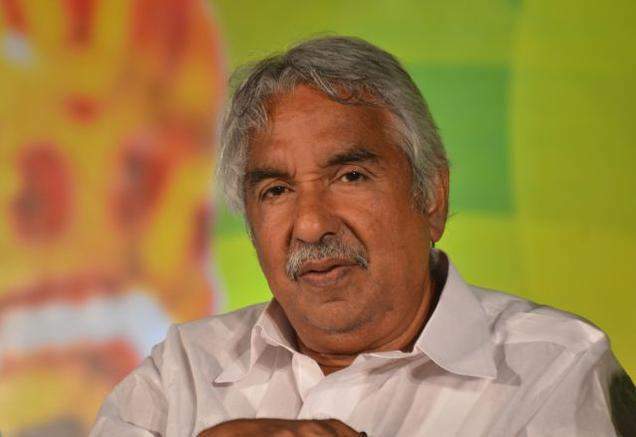 Kochi: An internal probe by Kochi Metro Rail Limited has found violation of the Metro Act by former Kerala chief minister Oommen Chandy and other Congress leaders during their "protest journey" against Chandy's non-invitation to the recent inauguration of Metro services here. The Kochi Metro Rail Limited (KMRL) today said those who had breached certain substantive provisions of the Metro Railways (Operations and Maintenance) Act, 2002 during the 'Janakeeya Yatra' would face legal action. "The report of the Director (Finance), KMRL regarding the Janakeeya Yatra that took place in the Kochi Metro Rail system on June 20, was submitted to MD, KMRL today. "It was found by the Enquiry Officer that there had been breaches of certain substantive provisions of the Metro Railways (Operations and Maintenance) Act, 2002," a KMRL spokesperson said. In the light of the enquiry report, further legal action would be taken by KMRL following the stipulated procedures prescribed in this Act, she said. The ruling CPI(M) had sought action against Chandy and several other Congress leaders for allegedly disrupting Kochi Metro train services by undertaking the protest journey. The Kochi Metro Rail Limited had instituted the internal probe in the backdrop of reports that commuters were put to inconvenience by the protest. There were allegations that the journey undertaken by Congress workers under Chandy's leadership had created chaos at two stations of Kochi Metro, first phase of which was launched by Prime Minister Narendra Modi on June 17. CPI-M's Aluva Area Committee Secretary, V Salim in his complaint had demanded that a case be registered against Chandy, Leader of Opposition in the Assembly Ramesh Chennithala, KPCC President M M Hasan and local UDF MLAs and other party workers. The complaint charged Congress workers with having violated provisions of the Metro Railways Act while staging the protest journey in Kochi Metro. The Congress had staged the protest against the non-invitation to Chandy, saying it was the then Chandy government that had played a key role in getting the Kochi Metro project. Congress leaders had said that they had made arrangements for travel of 150 persons, including Congress leaders and the media, for the protest journey. But the party workers came in large numbers after coming to know of Chandy's protest programme through social media, with media reports claiming it led to chaos at Aluva and Palarivatom stations.